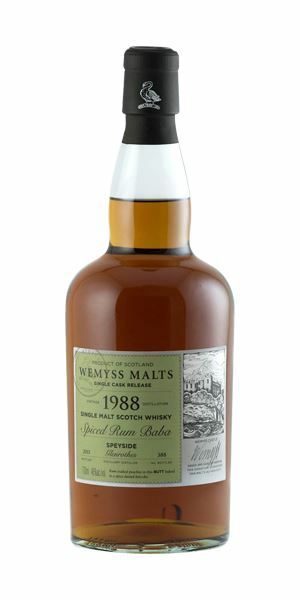 A ‘monster’ Mortlach and a duo of bottlings from Wemyss Malts were put to the taste test by Dave Broom this week. 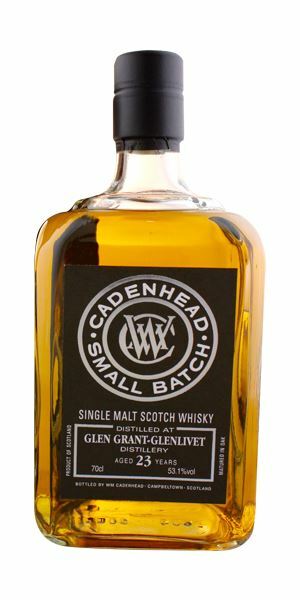 A blended grain from Cadenhead, a 23-year-old Glen Grant and a Càrn Mòr single malt from Miltonduff also feature in the latest line-up of new whisky tasting notes. 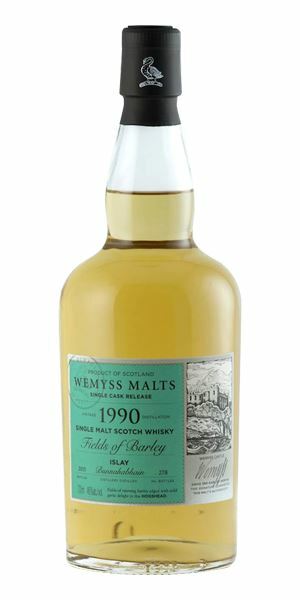 A very fresh, indeed crisp opening, all freshly-starched linen with a hint of lemon, and a slight chalky element, then Bramley apple peel. High levels of purity and acidity from the off, which drifts into acetone and then scented grasses. Very precise and acidic start, then it suddenly softens with a whoosh of canned whipped cream, which adds softness that then melts as the apples return. Water does give some softening qualities, bringing out marshmallow-filled whoopie pies, lemon and more of the swishing sweet grasses. As spring-like a Bunna’ as I’ve had. A lot of fun. No, I’m not hoping to link to bloody Sting (or Eva Cassidy), but to the marvellous Daniel Patrick Quinn’s ‘Put on The Grass Skirt’. Please buy his music (as Serge would say). A relatively hot nose and therefore a little tough to get into, initially that is. It needs time to open, then you get some snuffed candle (especially when water is added), a hot waterproof jacket on a summer’s day and a slightly meaty note. As it opens, there are white chocolate Maltesers. Thick and palate-hugging, with just enough drying oak on the sides. It does need water though, which smooths things out considerably, allowing fudge and condensed milk (and sealing wax) to come through. I wouldn’t exactly call it light – though maybe it is in Mark Watt’s world. There’s this slightly darker, aged stock character in the background adding weight and a degree of complexity. A sound everyday treat, if that makes sense. Taking a break after hiking through bracken. Aromatic and fresh, with cucumber (skin especially) and courgette flowers, sweet Russet apple, dill and carrot tops, plus a hint of crystallised angelica stems, all bound together with green garden twine. Now this is weird, because on the palate things switch somewhat dramatically to lavender at the same level as some of the ‘interesting’ Bowmores of yore. Water reduces this (thankfully) to the levels of walking briskly through the perfume department of a big store. The nose I like… a lot. The palate... less so. An organic veg box inside a tacky Highland gift shop reeking of pot-pourri. A rich and resinous opening that moves things straight into gingerbread and chocolate, soon followed by dried plum (not prune), while a drying hint of cereal adds interest and a touch of tobacco jar gives depth. A pretty classic ’rothes nose in fact, all fruit cake mix, allspice and marron glacé. The palate starts with cold Assam tea – lightly tannic, with those malty elements slightly dominating. 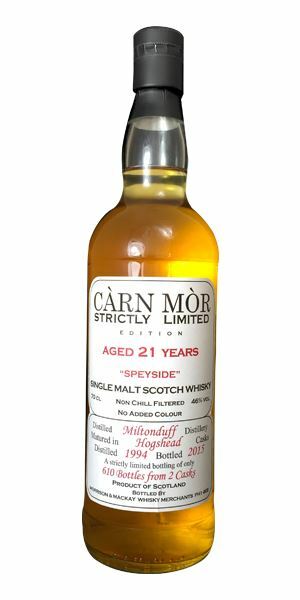 It’s certainly well structured, with the flavours shifting into hard treacle toffee and slight bitterness on the end. Needs more expansiveness in the centre of the tongue. Water kills off any softness and emphasises the bitter element. The nose great, but the overly firm structure knocks its overall balance. Afternoon tea at Father Ted’s. Mrs Doyle has stewed the tea. A perfumed start. Mixing poached soft fruits, light cherry, Opal Fruits (sorry, Starburst), baked cream, but always with a fine herbal touch that drifts towards silage. Good complexity. Water pulls out hot gorse, cut with ripening corn. Medium weight with that burnt cream element. Chewy and mouthwatering (there’re those Starburst again). Water brings out rich red fruits and also some light structure before things soften into custard. You lose a little of the elegance with water and things become slightly too dry. When neat, subtle and soft. Firmer with water. Balanced (especially neat) and subtly complex. A wheat field in midsummer. Opens with classic country house aromas – the staff have been busy polishing the floors with beeswax. But it then veers off into a more excitingly dirty (in a good way) direction – garages, leather jackets and hot motorbike engines. 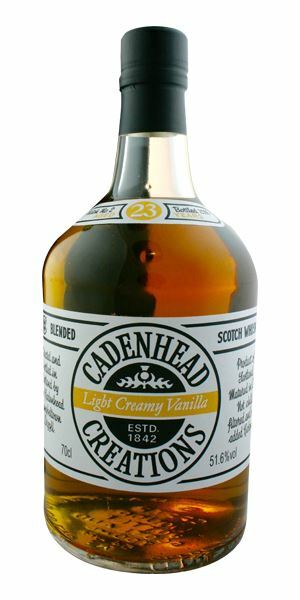 Slightly fusel-like and akin to a Scottish equivalent of Caroni rum. In time, paprika-rubbed mutton leg. Phenolic (but not smoky). Highly concentrated, muscular and rich, with supple tannins. Then comes the Mortlach gravy browning effect that hints at burnt roasting tins, but it has retained enough sweetness to balance. Big, chewy and almost fibrous, but juicy at the same time. 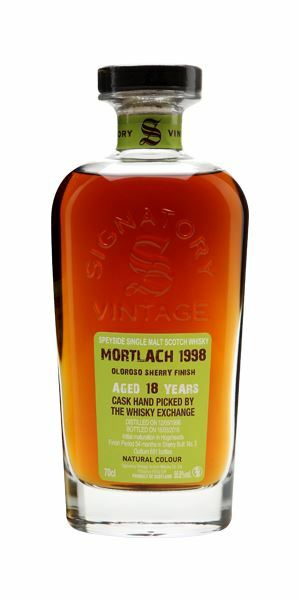 A monster of a Mortlach. The perfect dram for a meat fest at Black Axe Mangal... with Iggy on the soundsystem. 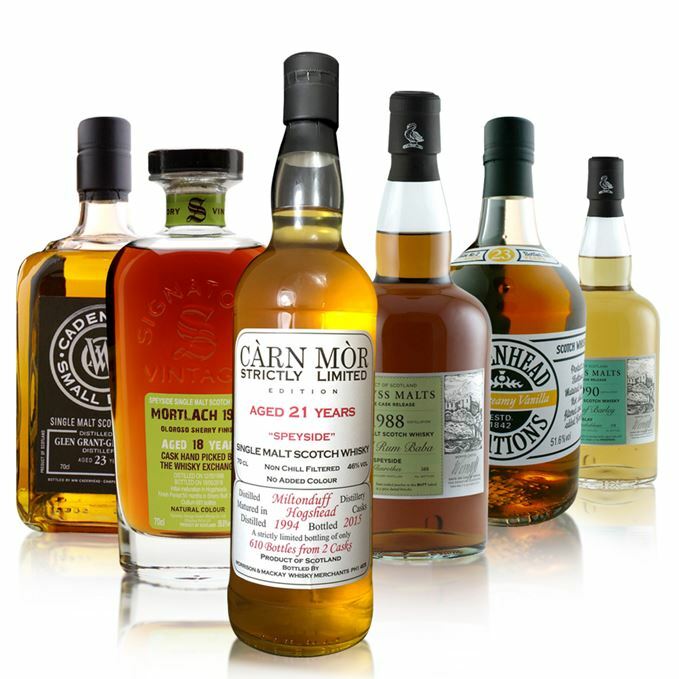 Batch 53 22/07/2016 This week’s whiskies include a smattering of Old Perth, Bunnahabhain, Dailuaine and Glendullan.